While the 2018 elections are making headlines, school administrators are already looking forward to the next elections in 2019 and 2020, which could be big years for bond votes. The primaries and Presidential election, in particular, will provide a golden opportunity to take new initiatives to voters in the bond election cycle. Although 2020 may seem far off, now is the time to start considering a master plan effort to link long-term education goals with an effective financing measure. In our experience, voters generally support bonds, if you do the process right. In the last 20 years we’ve worked on more than 75 master plans that went to the ballot; and all but one was successful. The master plan should be a transparent process, with all the stakeholders engaged from the start, to create a project list that will meet the district’s needs and earn the support of the community. A successful bond is the end result, not the heart of the process. 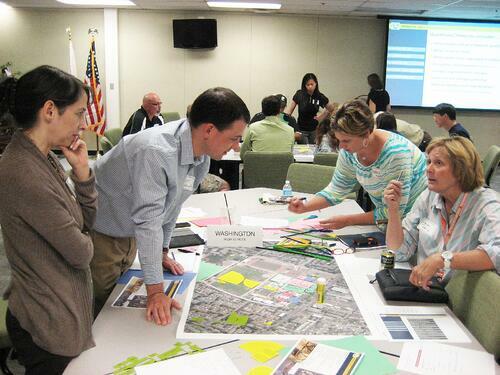 When we kick off a master plan, we don’t simply jump in and start assessing facilities. We don’t even want to call it a facilities master plan. The first step is to determine the district’s fundamental needs and the projects that fit the vision of the educational program. How are teachers going to teach? How are students going to learn? The master planning effort is the perfect time to dig deeper, to examine the district’s graduate profile and program vision. What are the methodologies and pedagogies that will best develop the right skills in students? Only then can we start talking about the best facilities to support the development of those skills in students. Answering these questions in the context of earning community support for a bond measure requires a larger, collaborative approach. It’s not about checking the boxes or following a rigid formula. Bringing together people early in the process creates a holistic vision, exploring all the issues and possibilities. We believe the financial adviser should be in place at the very beginning, providing a clear picture of the available funding and what is realistic. We also want to collaborate with the community outreach consultant at the beginning to poll likely voters and identify key issues. We want to know what’s going to resonate with the public. You can’t lead a discussion about visionary programming unless you understand how much financing the community will tolerate. By transparently engaging stakeholders at the initial stages, you’re also building your army for the potential future campaign, including the nucleus of the campaign committee. And you already have the tools in place to engage the community and get them focused on the how’s and why’s behind the master plan effort, while getting a clear idea of what they will—and won’t—support. There is no template for community engagement. Every district has its own style of communication. The process should always be customized, to craft a master plan process that fits the unique needs of the community. We want to make sure we understand how the community was engaged in the past and, going forward, identify the key organizations and potential naysayers. We’ve dealt with many challenging cases. For the Orange Unified School District in Southern California, we worked on a 2016 master plan for Villa Park High School, where only 30 percent of the community traditionally supported bond measures. In that case, we took a very different approach. We held town halls, an educational fair and a community awareness walk. We brought the community in and let them kick the tires on the facilities. We wanted them to walk inside and see the classrooms and the outdated technology as well as mock-ups of what it could be once improved. 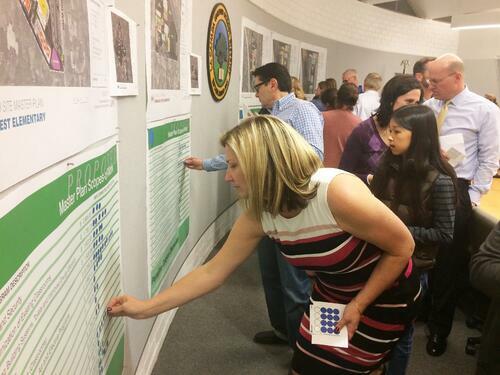 The Villa Park community eventually endorsed a districtwide $288 million bond measure that will meet the districts needs for years. Over the years, we’ve learned that every district is different and it’s important to be responsive to the specific, pressing needs. For the 10,000-student East Central Independent School District in South East San Antonio, LPA master planned a 2016 bond issue that focused on upgrading the four oldest elementary schools in the district to provide new classrooms that allow pre-kinder and kindergarten students to attend school at a campus closest to their home. This saved transportation dollars, helped families and provided new, modern classrooms for these early learners. We prepared a 10-year master plan for East Central, which has totally transformed the district’s schools. Two bond issues over that period have passed with strong community support and the results are starting to impact test scores and student outcomes. Once you go through the process and really determine the needs, communities often respond with enthusiasm. They see where the money is going, and the master plan and bond measure campaign takes on a new dimension. The election campaign turns into a supportive effort, instead of a conflict. In the long term, we all know a forward-thinking, well-financed master plan is in the best interests of the taxpayers. It means you’re going to be smart about how you spend their dollars. Jim Kisel is a Principal and Director of School Planning at LPA. This story originally appeared in the latest edition of Catalyst, a quarterly publication that takes a deep dive into the new ideas, industry leaders and cutting-edge initiatives changing lives by design.